Television Nostalgia – The Truth Is Always Out There with The X-Files! Since I have started reflecting on some of my favourite television shows it was inevitable that the show closest to my heart and my joint favourite (together with The West Wing – expect a post about that in the future!) would require a blog post. 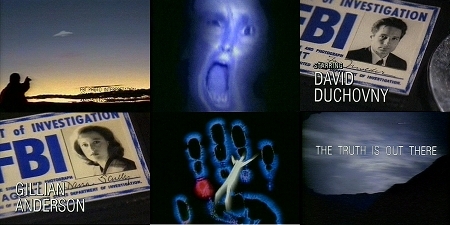 The X-Files ran for nine seasons from 1994 (well 1994 here in the UK, 1993 in America). I saw the odd episode of series one but it was at the beginning of series two that I became hooked! It was completely different from anything else I had seen before and was one of the first dramas I watched growing up. 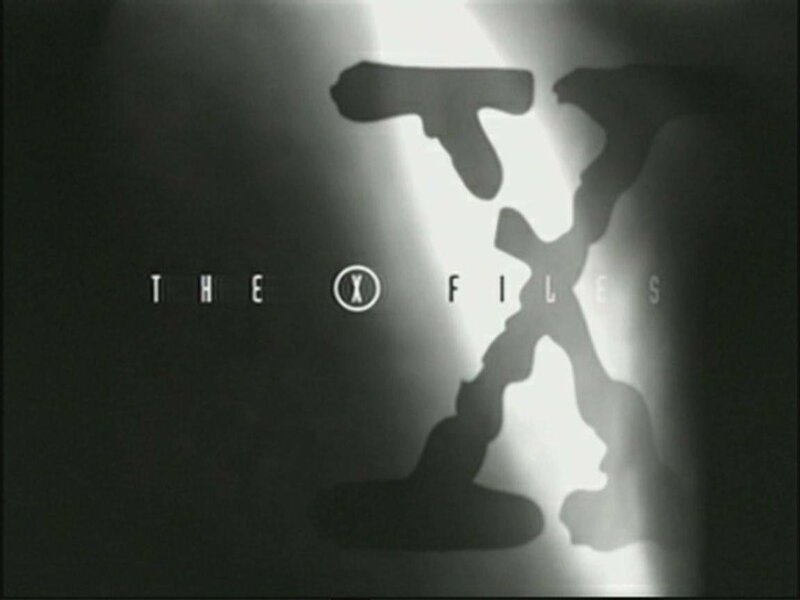 People tend to forget to mention The X-Files when referring to shows that redefined television in the 90’s (possibly due to its sci-fi slanted genre), but its influence cannot be ignored. At the time the show began, it was quite unusual to have a story arc (plot lines that continued to develop over not just episodes but years). The “mythology” arc of the show was a constant presence, admittedly changing in its focus as the years went on but creators of television shows since have credited the series with leading the way in this form of structure (take JJ Abrams and Lost for example). The show also became the place that a large number of creators of hugely successful shows of the last few years spent their early years in television – Vince Gilligan (Breaking Bad, whose season six episode Drive features a guest appearance by Bryan Cranston, who went on to become Walter White! 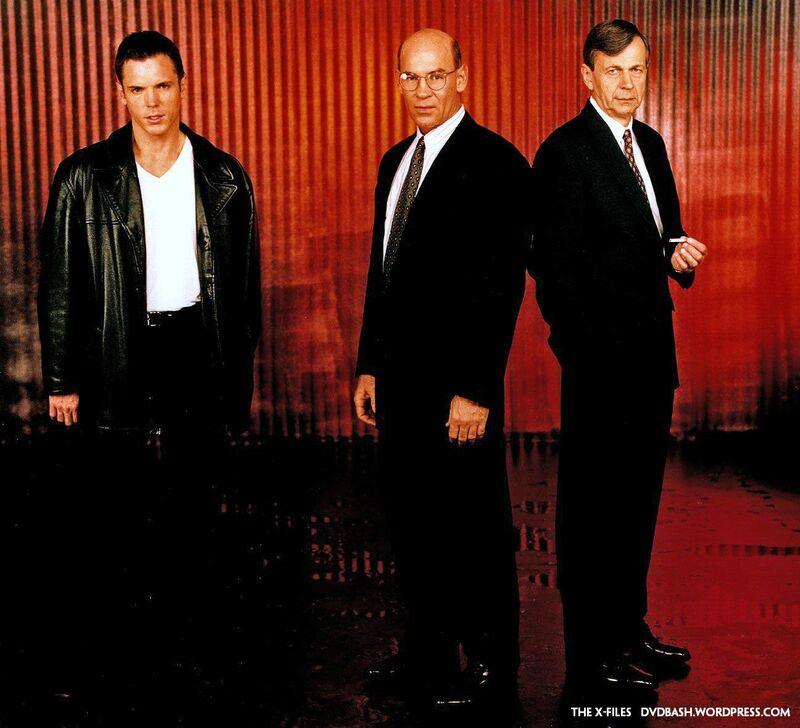 ), Howard Gordon (24, Homeland), Darin Morgan (Fringe) and David Amann (Castle) were all part of The X-Files’s family. Then of course there is the element that made the show the success it was and created, in my opinion, the finest television partnership – that’s Mulder and Scully. Practically unknown to a wider viewing audience at the time, the show made stars of David Duchovny and Gillian Anderson, who possessed a chemistry that is rare on film or television. Cleverly flipping the stereotypical image of spiritual believer as a woman and serious male scientist, Chris Carter created two characters who the fans took to their hearts and their steadfast loyalty, devotion and unspoken love for each other was the lynchpin of the series. When Duchovny decided to leave after seven years it was never quite the same. 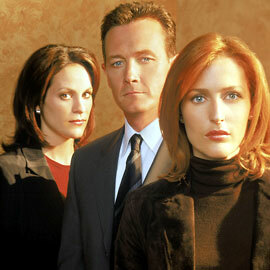 I adored Gillian as Scully and liked her new partnership with John Doggett (the brilliant Robert Patrick of Terminator 2 fame) and then his own blossoming partnership with Annabeth Gish’s Monica Reyes. However the problem was that, as a viewer and fan, I always missed Mulder and Scully together and Mulder’s return towards the end of season eight and then for the series finale were welcome additions to this new era. I often wish Doggett and Reyes had had a chance at a series of their own, but it was right that the show ended when it did. Since its finale in 2002 we’ve had the second feature film in 2008, which I acknowledge was a disappointment (especially compared to the first film released between seasons five and six) and had it not been for Mulder and Scully, I would not have liked it at all. Rumours and speculation continue as to whether a third film will be made. I certainly hope they turn out to be true, in order to give a more satisfying and deserved end to such a significant television show (and please can some of the wonderful cast return, especially Skinner, but it would be great to have CSM in there too somehow). In line with previous posts, here are my favourite episodes (there are a few more than ten as it’s too hard for me to leave some out)! This will always be my favourite episode of The X-Files and I can still remember the excitement I had when first watching it. 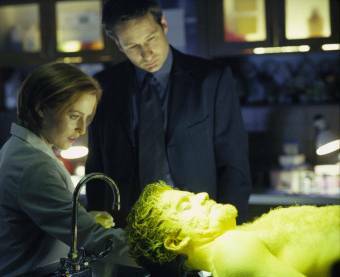 After her abduction by Duane Barry and subsequent disappearance, Scully reappears in hospital, critically ill. No one knows how she arrived or what is really the cause of her condition and the episode focuses on her choosing whether to live or not through dream-like sequences and also how those closest to her deal with her condition. It was a different style of episode and David Duchovny is wonderful, portraying Mulder conflicted between fighting to find out who and what is responsible and simply being there for her. It also introduced one of my favourite supporting characters Melissa Scully – quirky and much more like Mulder, her relationship with her sister’s partner was a highlight of the episode. This story arc could really be a trilogy with One Breath, but as that is my favourite, these are set out in second place! It was the first hugely significant arc of the show and one from which many later plot lines originated. Conceived as a way of dealing with Gillian Anderson’s own pregnancy, the storyline sees Mulder and new partner Krycek involved in a hostage situation. However events take a shocking turn when the hostage taker, Duane Barry, who claims to be an alien abductee, kidnaps Scully. The second half sees us follow Mulder’s race to find Scully and his desperate cable car ride up Skyland Mountain (a stunt which Duchovny did himself) was one of the show’s first nail-biting moments. As a fan, I was on the edge of my seat throughout and the scene towards the end between Mulder and Mrs Scully remains one of my fondest moments of the whole series. I know it’s another arc, but you really cannot separate these. For me this was when the show truly became appointment viewing and I vividly remember getting my copy of the VHS of File 1: The Unopened File on its day of release, as it included all three episodes before season three had even started to air on Sky in the UK (yes I still have all my VHS cassettes of the show in the loft)! Looking back this seemed to be when the show started to really take off in the UK. So much was packed in to the explosive season two finale / season three opener. We saw the murder of Mulder’s father, the discovery of Scully’s implant, Mulder’s near-death experience, the murder of Scully’s sister, a stand-off between Scully and Skinner and one of the finest lines ever, delivered by Skinner to the shadowy Cigarette Smoking Man! These episodes highlighted the quality of the writing, direction, acting and production of the show and are ones I return to again and again. For me season two is probably my favourite (followed by season four) and here is yet another episode from it. Irresistible is a truly dark and disturbing hour of television, even by today’s standards and still gives me chills. Introducing one the the show’s scariest villains Donnie Pfaster (and only one of a small number to be brought back for a follow up story), the episode focuses on the true darkness some people are capable of. The episode also sees one of the first times Mulder and Scully opened up to each other in the wake of Scully’s abduction. The scene at the end where she cries in his arms is wonderfully acted by both leads. 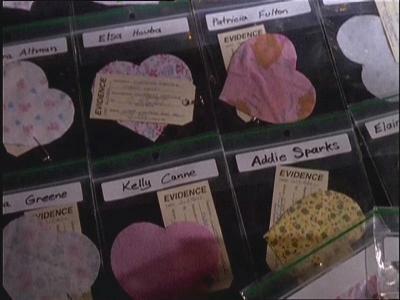 Another dark story, capturing some of the series’s strongest performances, Paper Hearts made fans rethink everything we knew about the disappearance of Mulder’s sister Samantha. Had she in fact been abducted and murdered by a serial killer who Mulder had helped to catch years later and who seems to know a worrying amount about that night in 1973? Tom Noonan’s portrayal of Jonn Lee Roche was superbly dark and highlighted again that The X-Files didn’t simply rely on aliens for story lines. 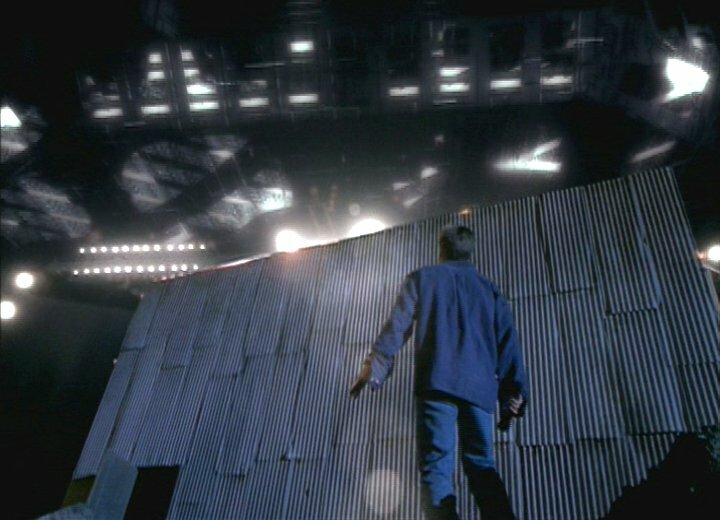 I also liked the fact it was left unresolved, with the audience left sadly conscious of the fact that Mulder may never know the truth. After her abduction in season two and the discovery of a mysterious implant in her neck in season three, this episode of season four was one of the finest hours of the series and a defining performance for Gillian Anderson (in the year she won an Emmy for playing Scully). 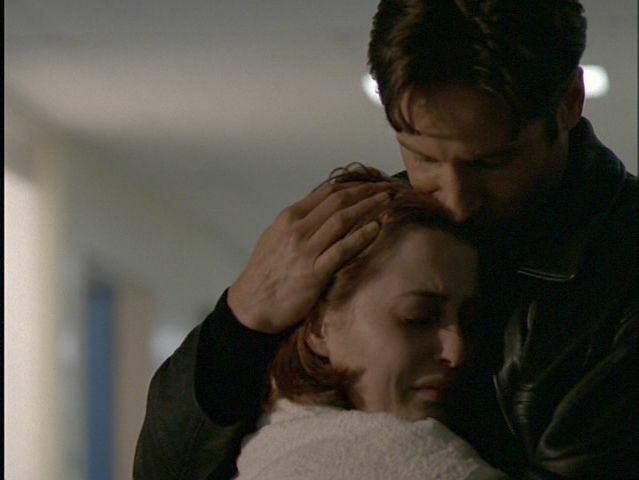 Giving a lead character a terminal illness was a brave and daring choice and this episode was truly heartbreaking as we watched Scully begin treatment, while Mulder began his quest to find a cure to save her. Weaving in plot points from the past as well as laying others for the future, it also included lovely guest appearances from Sheila Larken as Mrs Scully, the fantastic Lone Gunmen and Gillian Barber as Penny Northern, who gives Scully the determination not to give up. Before I started watching the series religiously in season two, one episode was ingrained in my memory and that was Tooms. More specifically, it’s the moment we hear the squeak of turning screws on the grate in Mulder’s apartment as he sleeps on only a few feet away. Truly terrifying television for me back then (it didn’t help that our house at the time had those grates either)! 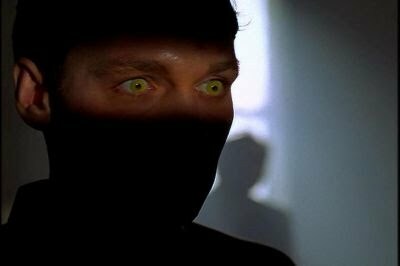 Eugene Victor Tooms, created by the genius pairing of writers Glen Morgan & James Wong, is one of the iconic characters of the The X-Files and one of the best villains of any television show. Almost everyone I know who watched the series or at least the early years remembers the stretchy, liver-eating killer in his newspaper nest! If you want to scare a friend, you can’t do much better than these episodes! The first episode that allowed Gillian Anderson to demonstrate what a superb actress she is, Beyond The Sea sees a crisis of faith for Scully. In the wake of her father’s death, she turns to the supernatural as a desperate way to connect with him, believing in the abilities of Luther Lee Boggs, while her partner becomes the sceptic. Switching roles with her partner was an enjoyable change midway through the first season and allowed us to fully appreciate the strength of their friendship and partnership. 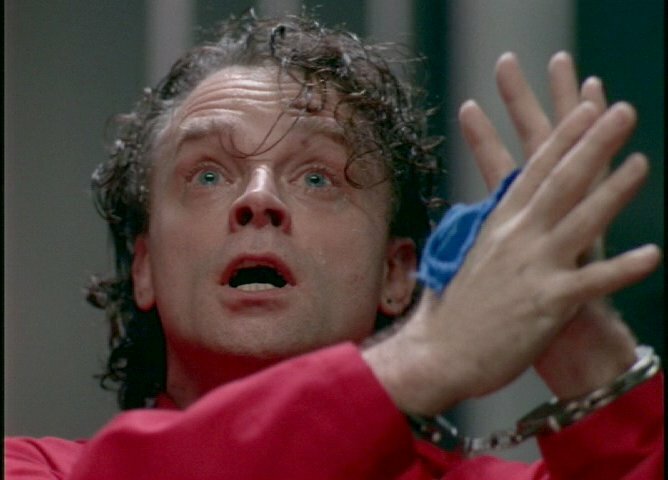 It is also a chillingly brilliant performance by Brad Dourif and Boggs. My favourite comedic episode of the show (and yes to some people’s surprise there were a fair few) was this two part Quantum Leap-style story. 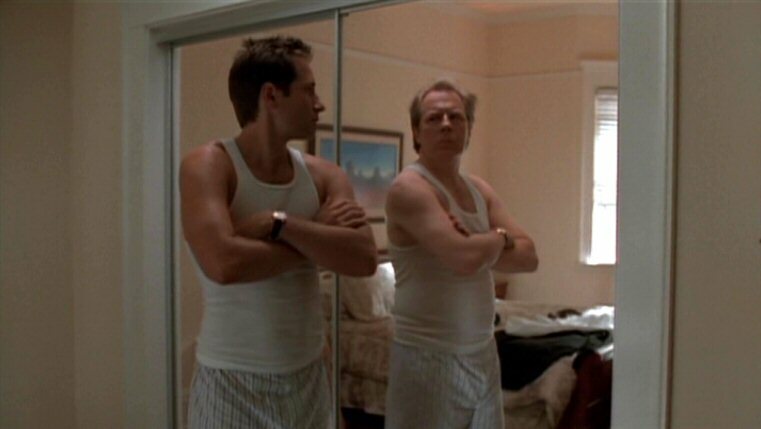 David and Gillian are excellent and able to flex some of their comedic talents (Scully on the waterbed is so much fun) and Michael McKean as Morris Fletcher is perfect (and is was lovely to see him pop up again later in the series, as well as in the spin-off The Lone Gunmen). These episodes have to be included here for the Duchovny mirror dancing scene alone! The episode where it all began. From Mulder and Scully’s very first meeting in the FBI basement office it was clear that David Duchovny and Gillian Anderson had incredible chemistry. It simply leaps off the screen. 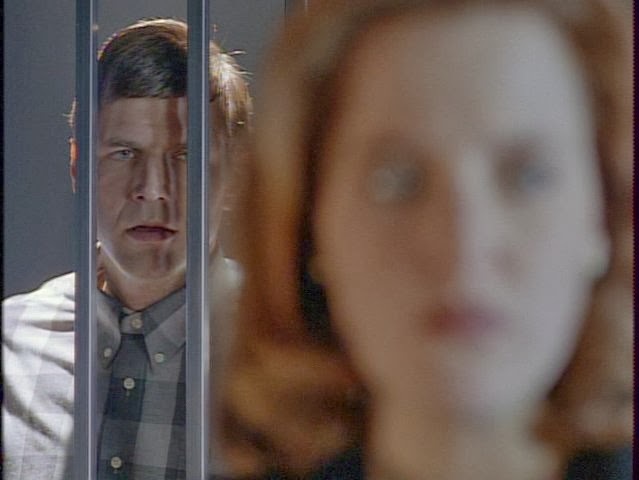 There are also so many memorable moments in the Pilot (the introduction of the Cigarette Smoking Man, losing nine minutes of time, Scully looking identical to Jodie Foster’s Clarice Starling)! By the end of the first hour the framework for the series was laid out perfectly. 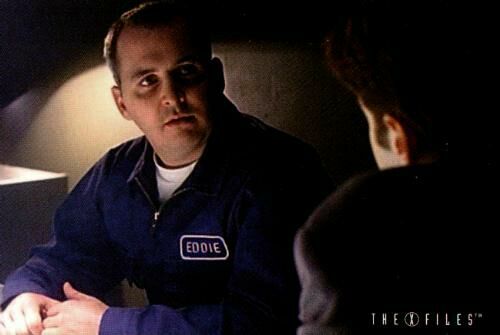 The last fun episode of the old era before Mulder left, I also think this penultimate episode of season seven is a gem from the series as a whole, mainly because of just how funny it is! The premise that you really can find a genie (here in a rug rather than a lamp!) is ridiculous in itself, but as we see some of the wishes she grants it becomes even funnier. The highlight has to be Scully dusting the invisible man with yellow powder and how giddy with excitement she is about it! 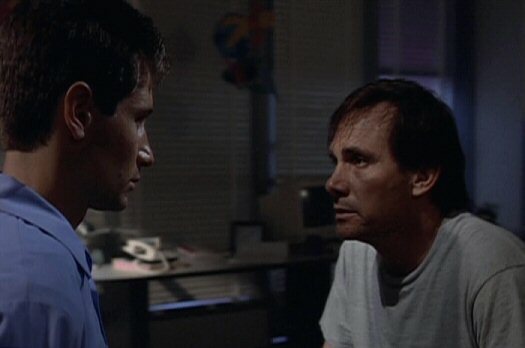 This was the first proper two parter of the series and was at the time The X-Files really started to push the boat out in terms of production. We are used to television at an equal quality to film these days but it was much less common at the time of this show. We are introduced to the shape shifting alien bounty hunter (one of the scariest characters for me at the time), as well as Mulder’s parents (and seeing the contrast between them and the warmth of Mrs Scully) and the possible reappearance of his sister. The scenes in which Mulder first meets “Samantha” and then risks losing her all over again to save Scully were brilliantly played by Duchovny. 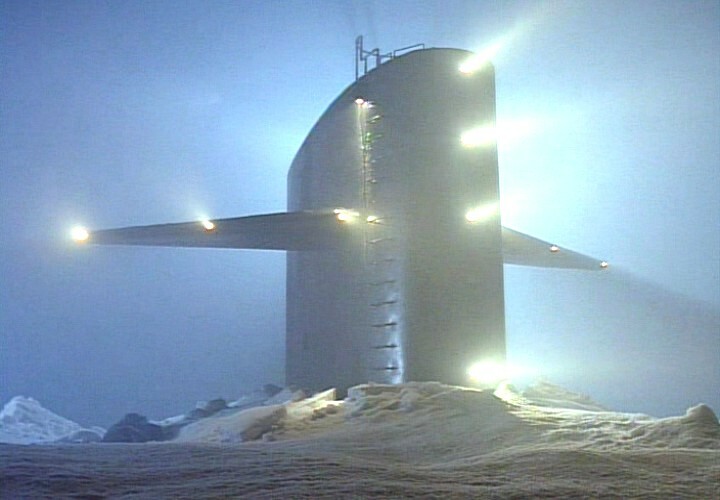 Plus the submarine in the ice looked fab on screen! A truly bonkers episode and one that even made the national newspapers in the UK at the time, as speculation mounted as to whether Mulder and Scully were finally going to get together. Eddie Van Blundht (the gag about the “h” in his name being silent being an in-joke to Duchovny’s own often mispronounced surname!) is the geeky, unlikely casanova, wonderfully acted by former X-Files writer Darin Morgan, who was also the infamous Flukeman from season two’s The Host). The episode also allows David Duchovny to have some fun, portraying Mulder as if it’s Eddie pretending to be Mulder. You are indeed a damn good looking man David! It seemed only right to include an episode from the new era of the show. I thought there were some great episodes with Doggett and Reyes and I personally preferred season nine to eight, as I felt they had had time to settle and start to develop and the stand-alone stories of that season were more interesting. However the fact remains that if I think of The X-Files I still always think, first and foremost of Mulder and Scully and so most of my choices have to come from their time. This episode is one of my favourites of the new era as it focuses on the growing bond between Doggett and Reyes after Monica is involved in a car accident and lies fighting for her life in hospital, while her spirit is trapped in an other-worldly version of the same building. She must fight to get back before her life support is turned off. 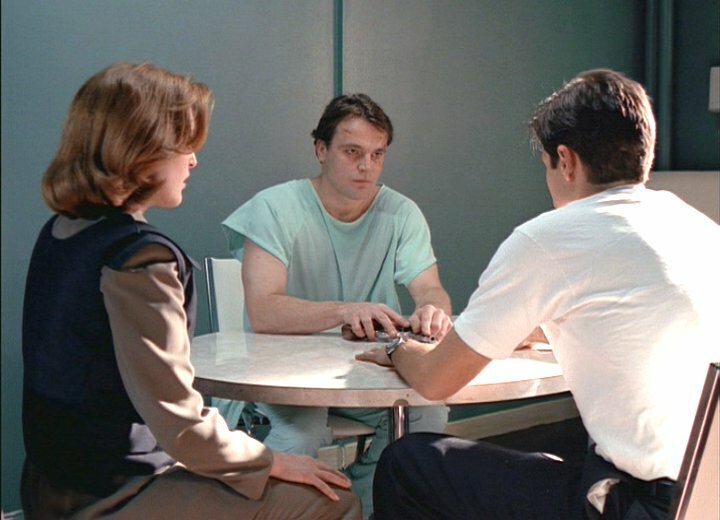 It has a lovely performance by Tracey Ellis (previously in season three’s Oubliette) as nurse Audrey, who is Monica’s only hope and Doggett’s refusal to give up on her (even if it requires him to take a leap of faith) brings back memories of the early days of Mulder and Scully’s partnership. Another classic episode for me was Pusher, in which Mulder and Scully came up against Robert Patrick Modell (known as Pusher), who seems to be able to bend people to his will with dreadful consequences. This leads to a thrilling cat and mouse game between him and the FBI agents, culminating in a tense game of Russian roulette between him, Mulder and Scully. The horror of realising Mulder may be at risk of killing himself or his partner was nerve-wracking and Robert Wisden was excellent as the cruel Modell. It’s interesting to note that all the characters who returned for more than one episode over the years feature in my list, perhaps proving how brilliantly written they all were at the time. There are a few more I was tempted to include (Unruhe, Ice, Bad Blood, Eve, En Ani, Arcadia, Redux / Redux 2, How The Ghosts Stole Christmas and Quagmire to name a few) but these fifteen tend to be the first ones I choose if I need a bit of X-Files nostalgia. The Truth is certainly still out there and I for one hope that in the not too distant future Mulder and Scully will be back in some form. Come on 20th Century Fox, you know you want to make it happen! Oh and here are some great fan made videos from the web to keep the nostalgia going! So who’s up for an X-Files viewing marathon?! No!!! I’m surprised you haven’t watched it. You never know it may surprise you! Next Next post: Television Nostalgia – The West Wing – The finest television drama ever created?